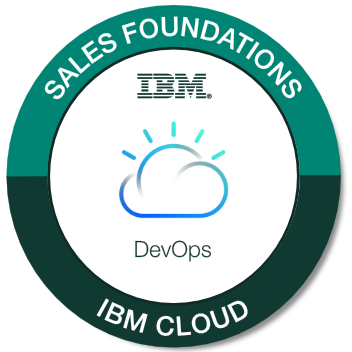 IBM recognizes the commitment that our badge earners have made to increase their knowledge or to enhance their skills so that they can evangelize our solutions. The IBM Digital Badge program enables you to easily and quickly share verified proof of your achievement both within IBM and externally. Where applicable, your IBM credentials are represented by a digital image that contains verified metadata describing your qualifications and the rigorous process necessary to earn them. Note: Please allow up to 5 business days for your badge to be issued. Get started on your Sales Foundations badge. NOTICE: IBM leverages the services of Credly's Acclaim platform, a 3rd party data processor authorized by IBM and located in the United States, to assist in the administration of the IBM Digital Badge program. In order to issue you an IBM Digital Badge, your personal information (name, email address, and badge earned) will be shared with the Credly’s Acclaim platform. You will receive an email notification from Acclaim with instructions for claiming the badge. Your personal information is used to issue your badge and for program reporting and operational purposes. It will be handled in a manner consistent with IBM privacy practices.